In SharePoint 2013 a new type of list view has been made available to end users with the ability to search within a list or document library easily. In some cases when you have migrated sites from a SharePoint 2010 farm to a new SharePoint 2013 farm this new list view is not available. This might have to do with Inline Editing settings on your list views. As you can see the Inline Editing option has been removed from the User Interface and it is not possible for site owners or list owners to modify these settings on views anymore. But after some research I found that there’s a workaround for this problem. In this post I’ll show the second option. The first option is not feasible in every environment, because you’ll lose all created views with these issues and will need to reconfigure them manually. The second option is only feasible if you don’t have a lot of lists and libraries with this issue but when it’s more work to recreate the views completely. It’s also only an option when having a on-premise farm. When using Office 365 you can’t use SharePoint Manager, so then your only options left is to create a sandbox solution to fix it or create a CSOM tool which fixes this remotely. 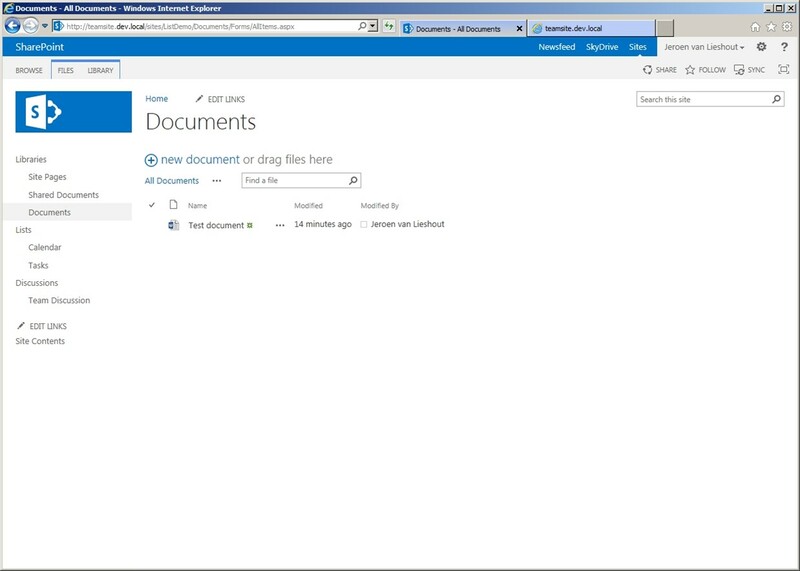 I will show here the solution in general using SharePoint Manager. With custom code it isn’t that hard, because the principles are the same. As you can see there is a property called InlineEdit on the All Documents View which is set to TRUE. 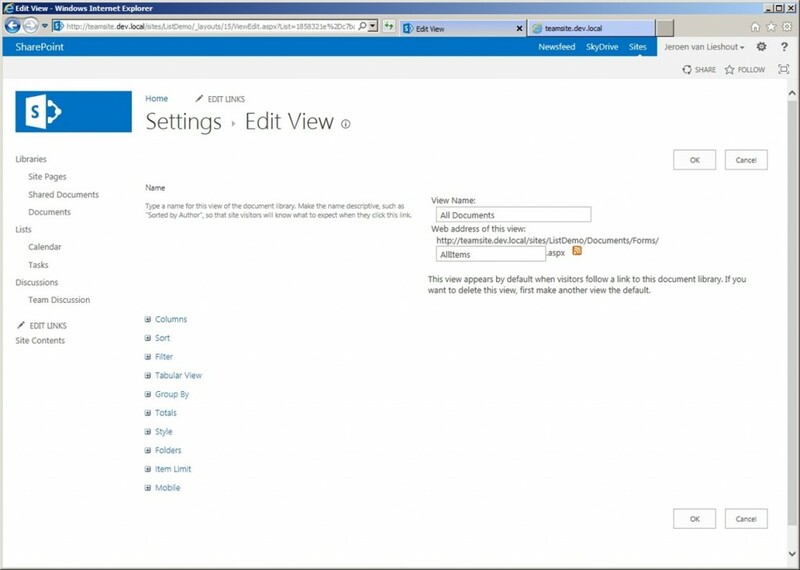 This corresponds to the setting we’ve set when we were using SharePoint 2010 or running in 2010 mode. After some testing I found out that setting to FALSE doesn’t do anything! The only way to disable Inline Editing properly on a view is clearing the value of the InlineEdit property. Now you can use also the inline search functionality which is missing when Inline Editing was disabled. 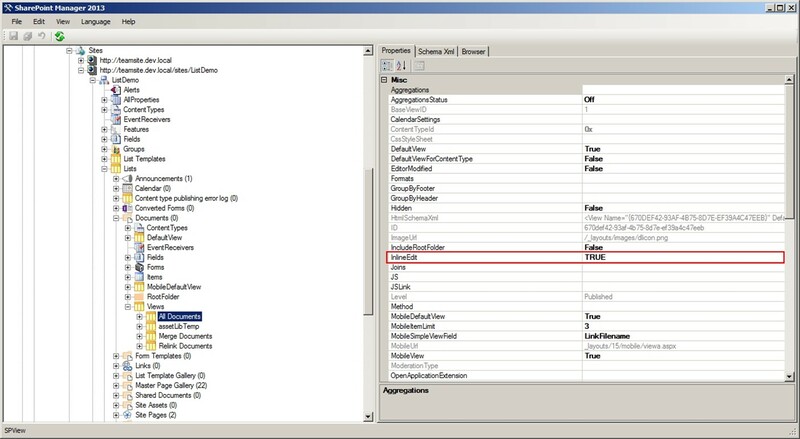 This is from my perspective the main reason why you don’t want to use Inline Editing anymore in SharePoint 2013. 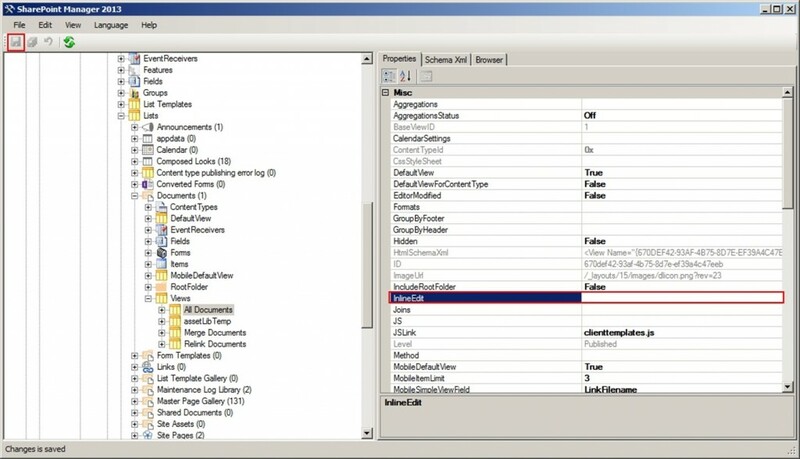 When disabling the list view property for Inline Editing by using custom code, make sure that you set the property to a null value. Otherwise Inline Editing will not be disabled properly. Hopefully this post will save you a headache when finding the root cause when the new style of list views is not working on all your lists and views. 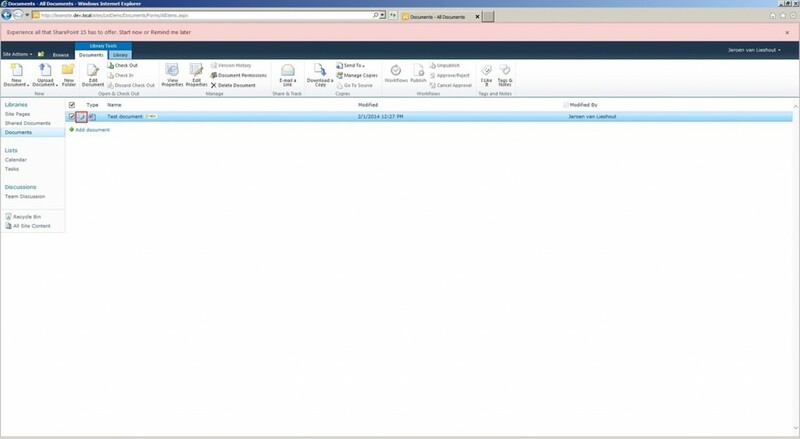 This entry was posted in Migration, SharePoint and tagged Inline Editing, Libraries, Lists, SharePoint 2013, SharePoint Manager, Views on 1 February 2014 by captain007.